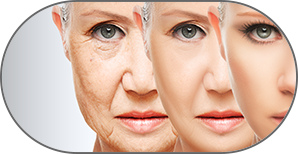 If you are looking to tighten up loose or sagging skin on either your face or body, then Skin Tech Clinic can help you have more supple and younger looking skin. 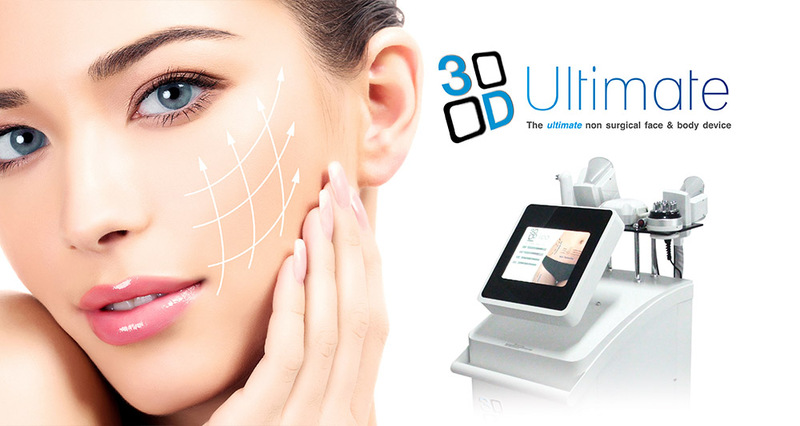 Our award winning, latest 3D Lipo technology helps your skin look younger by using FDA approved Radio Frequency Technology to stimulate collagen and elastin. It is a safe and non-invasive treatment with great results and little to no downtime. 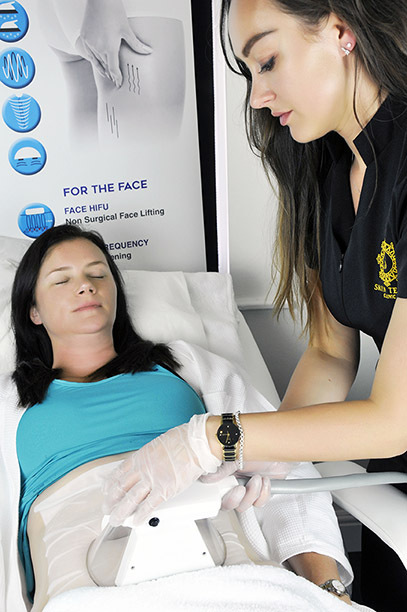 Radio Frequency can help you get tighter, younger looking and firmer skin whilst also reducing wrinkles. 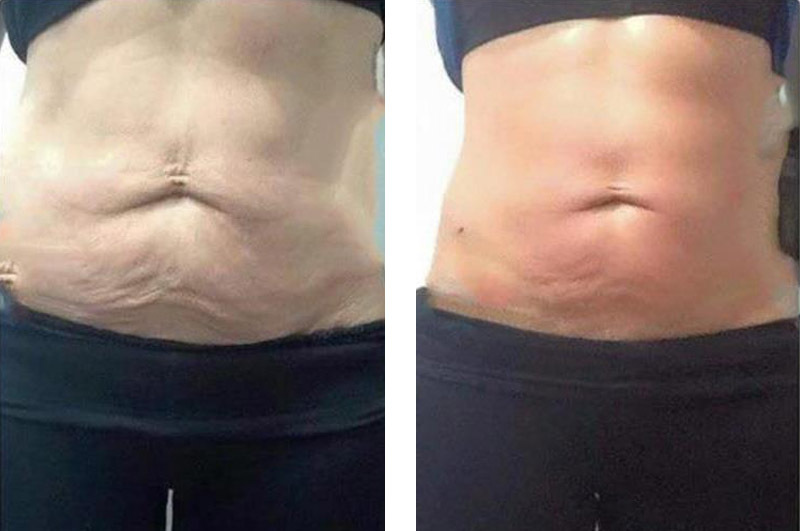 The Radio Frequency skin tightening device has a delivery depth of approximately 4mm, targeting the dermal tissue and creating a healthier and tighter dermis. The Focused Fractional Radio Frequency does this by gently but consistently heating the dermis and subcutaneous layers to 40-42 degrees. This stimulates fibroblast action, which works to increase the synthesis of new collagen and elastin. The thermal trauma that has been delivered to 5-30% of the collagen fibres causes immediate contraction of the fibres, which produces new collagen. Old and sagging collagen fibres to break down and the body immediately starts to rebuild and produce new collagen and elastin. See the diagram below of the difference in old and new collagen fibres. The new collagen is thicker in diameter and the spaces between the fibres have been visibly reduced under a microscope. 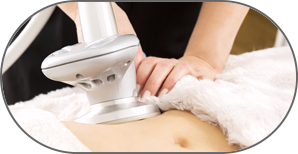 3D Lipo Radio Frequency Skin Tightening is non-invasive and painless. As there is heat involved, you may feel some areas becoming quite warm, which is relaxing and pleasant. A few clients that are more sensitive find some areas to be a little uncomfortable but not unbearable or painful. You may experience some redness in the area due to the skin being warmed up. This will reduce very quickly. A course of 8 treatments are recommended (spaced at 7-14 days apart depending on your skin type) for best results but many clients have started to see visible results with just one treatment. Maintenance treatments are then recommended at 4-6 weekly intervals. The skin is then reassessed. Results will be long-lasting (4-5 months) and are better if your skin is not exposed to the sun to prevent sun damage. By having maintenance treatments after a course, you hold onto those improved results for much longer. Maintenance is recommended every 4-6 weeks. It is good to see Radio Frequency as part of a bigger skin care regime, where you have good diet that gives your skin good nutrition, don’t smoke or drink regularly to excess and take some regular exercise as well as ensuring your body is well hydrated. Is RF suitable for me? 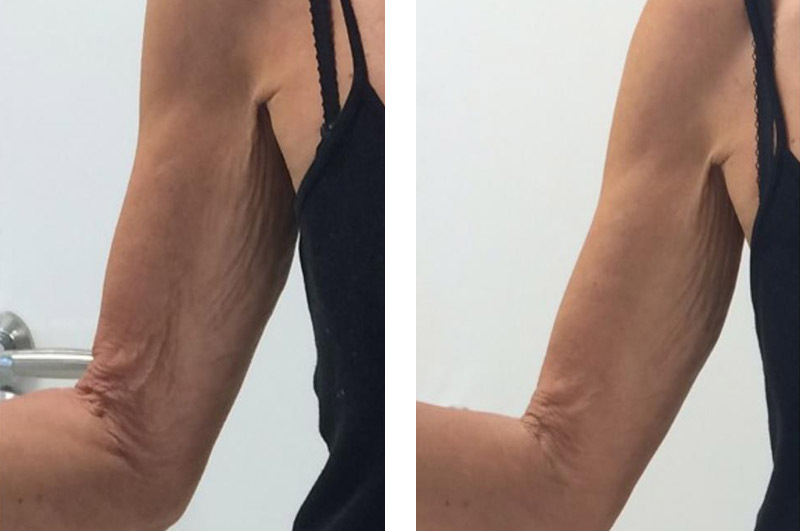 Most people can be treated with Radio Frequency Skin Tightening but we always recommend you have a consultation with a trained and experienced practitioner to discuss your concerns, expectations and medical background. Avoid sun beds, sunbathing and any heat on the treated area such as saunas and heavy exercise until the area has normalised. Have a good skin care regime. Cleanse, tone and moisturise daily with quality products. Using the latest Tri-Pollar Radio Frequency, we work to reduce wrinkles and sagging skin by gently heating the skin to 40 degrees. A prescriptive treatment plan will be devised to target your specific areas of concern and effectively tighten the skin by increasing collagen production. 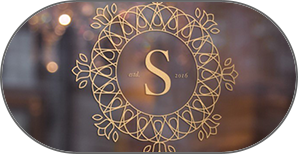 Skin Tightening will be a focus in this session, however inch loss or cellulite removal can also be worked on if it is a body treatment. e.g. full stomach and sides. Please note – these prices reflect that you will need to have a course of 6-8 sessions. 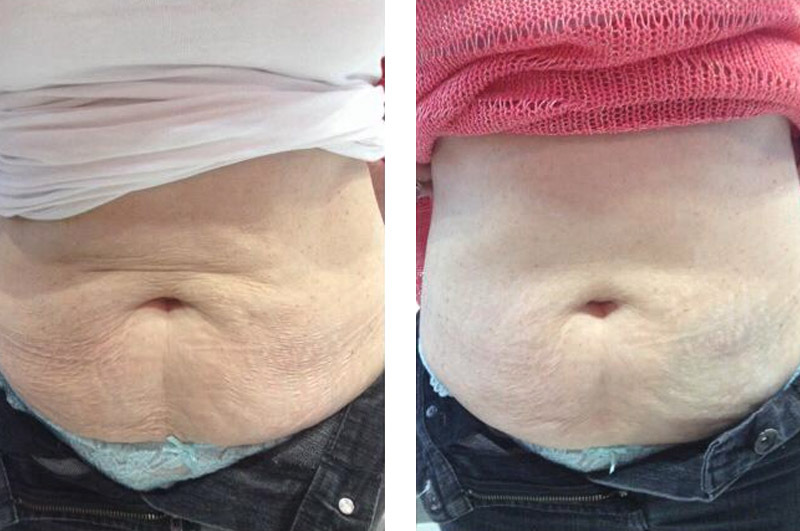 With your commitment, we can help you achieve great results like that that you see in the before and after gallery. All we ask is that you eat clean, drink lots of water, don’t drink alcohol to excess, take some exercise and commit to a course of sessions and you will get great results.